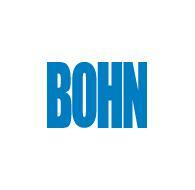 A BohnU Tube Bundle, is a heat exchanger that is most commonly used for heating domestic water for Hotels, High Rises, Commercial Buildings, Universities, Hospitals etc. Most of them for this type of service are copper tube type. The U-Tube Bundle only has one tube sheet and can be removed from the Heat Exchanger shell for cleaning or replacement. For Hotel swimming pools, we build or retube them using 90/10 or 70/30 cuni and sometimes Admiralty-Brass. Some U-Tube Bundles are used for food or chemical processing, we build or retube these with 316SS-stainless steel. 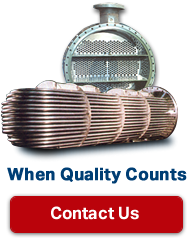 Please call us for a new bundle or retube quote on your unit. Please provide a brief description of what you need or problems you are having with your equipment.